I try following solution and many others solutions but noting happens. Browse other questions tagged xamarin xamarin.forms platform or ask your own question. 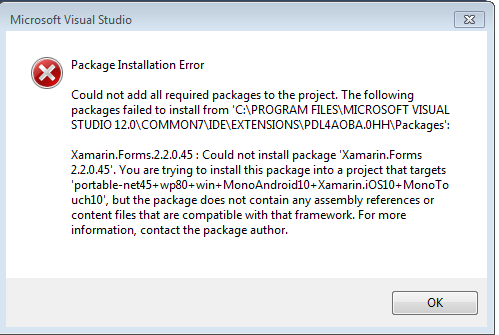 Why does a PCL NuGet package fail to target Xamarin platform? Is “could not be loaded” an error fixed by restarting? 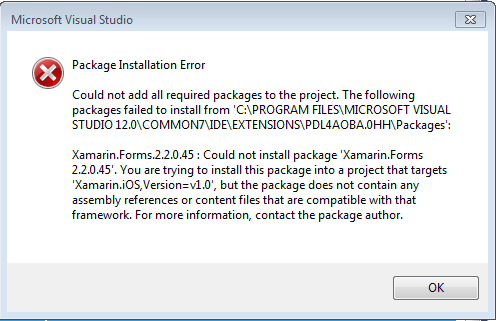 How can I fix NewtonSoft (json.net) errors after Xamarin update? Where is the difference of dotnet build on cmd vs VS2017?